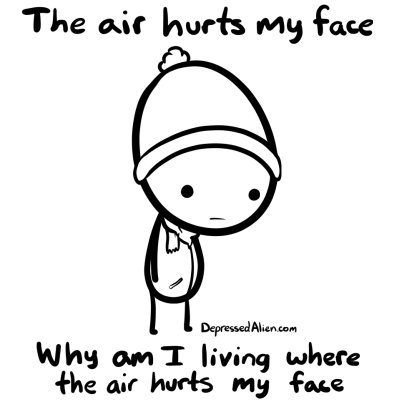 Even though I've been actively working to choose my winter this year, by the middle of January, we aren't even close to finished with freezing temperatures here on the Canadian prairies. This year, we budgeted in a winter getaway and we're headed to Cayo Coco. 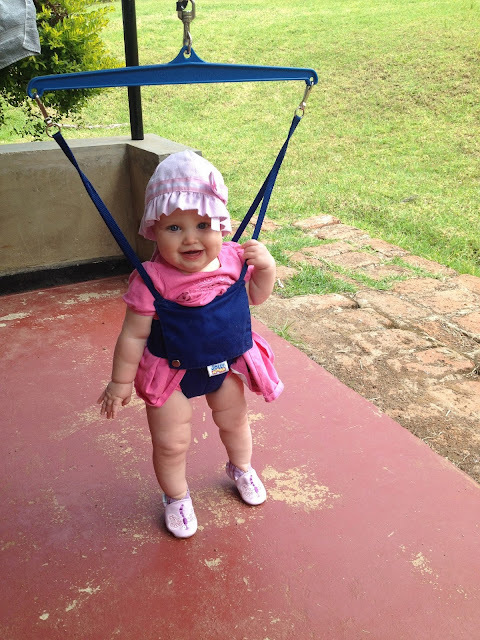 We've traveled to Cuba pre-baby, with one baby, and now with a two-year-old and a six-month-old. Hey, maybe even Americans friends will be joining us soon? Whether you're headed to Jamaica, Mexico, or Hawaii, here are a few considerations when planning a beach vacation with your littles. 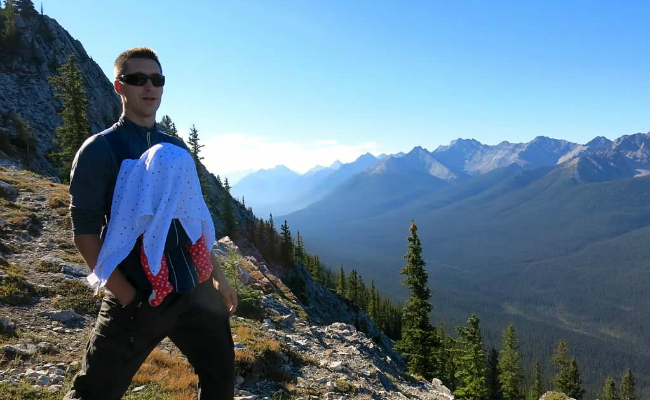 Pre-baby, I backpack traveled and headed somewhere new every day. You can absolutely do this with kids but it's not relaxing. It's just not. Traveling with our littles, I've come to appreciate exploring from one fixed location (usually for five to seven days) where we can dump our stuff and develop a bit of a routine. Why not choose an all-inclusive resort that provides meals and has lots of fun things to do? 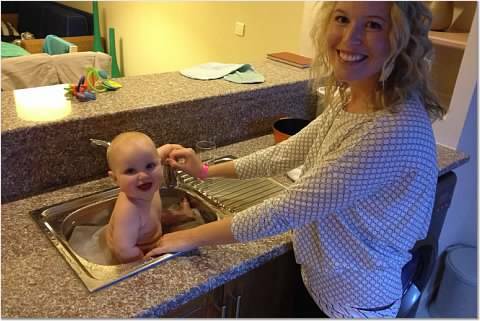 The Top 10 Reasons to Travel with Baby. You may need to adjust your expectations a little. Think of it as moving from travel with your most adventurous friend to traveling with Great-Aunt Myrtle. You're going to move slower, take more breaks, have a few embarrassing moments and go to bed a lot earlier. You're still a parent. Your kids still won't sleep, and they will definitely melt down by 7pm. Anticipate as much as you can and talk about it BEFORE you leave home. This might seem the complete opposite of the footloose and fancy-free traveling in the past. It is. AUNT MYRTLE. Here are a few questions to spark your loving discussion. Who's going to hang out at the hotel room for naptime or in the evening? Are you skipping naps? Having them poolside? Can you book a suite or a two-room situation? Will your room have a patio or a balcony? Is your room located close to or far from the throbbing drumbeat of the evening entertainment area? What is your plan for the hour before sleep when your toddler is kicking her legs in the air and singing, "The hokey-pokey"? Did you bring snacks? Sorry. That's just for me. I'm hungry now. Maybe you can travel with some unsuspecting friends or relatives you can lure into babysitting duty one evening. 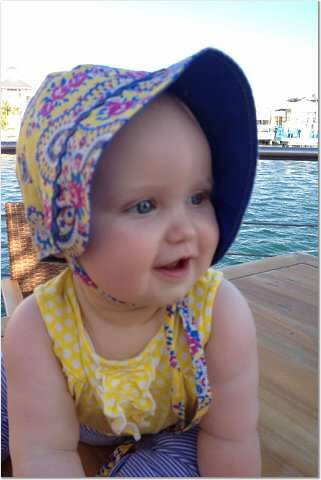 Maybe you're comfortable leaving your kids with a baby service or child care on resort for a few hours a day. Recognize NOW that one of you may be stuck hanging out near or in the hotel room for the evening. Bring extra books or activities for this down-time and sort out who will do what. At least one parent can be out enjoying the surroundings. If you expect to get no sleep and miss half the fun, it's a pleasant surprise when you are enjoying a balmy evening on a garden patio. However, if you think you're going to be living it up on the beach, it's going to be a cruel shock when you're rocking Junior at 10pm, cursing the swinging sound of the local nightclub... Hypothetically. The time to think about your kids' safety is before you leave. 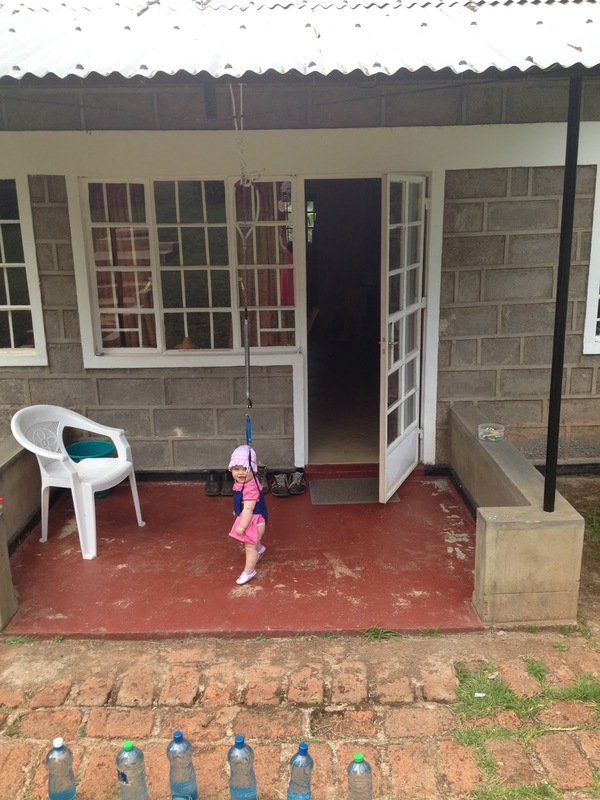 NOTE: We took a seven-month-old to Kenya for two months. I am not trying to scare you out of traveling. Just plan ahead. Take a good look at your medical insurance and figure out an action plan before you leave. Hopefully you will never need it, but it would be foolish to ignore the risks. When traveling, we bring powdered pedialyte, infant tylenol, advil, benadryl, gravol, afterbite, and a first aid kit. What other precautions do you need to take? Do your kids have specific health concerns? Are there certain foods they shouldn't eat? Cautions about water intake? 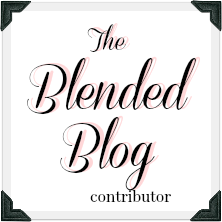 Should you consider additional vaccinations? Most cities have a travel clinic you can call and discuss any questions or health worries you have for your specific destination. TIP: Don't let your toddler near the bandaids. TIP 2: Don't forget to consider the political and social situation in the country you'll be visiting. Outside of safety advisories (like this one for example, gorgeous pregnant ladies), it's up to you to decide if travel is safe and to be culturally respectful and responsive. I strongly believe that your kids need you, a few diapers and a change of clothes (and maybe a water bottle and some goldfish crackers if you've got a toddler). HOWEVER, here are a few pieces of kid equipment we've found useful on hot holidays. Drape it over the baby. Sunscreen! Baby throws up? Burp cloth! Need to breastfeed? Nursing cover! 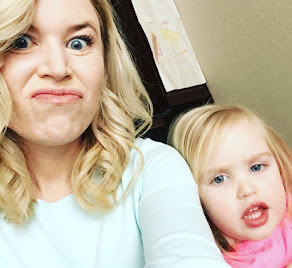 Toddler won't stop talking? Muzzle! You get the idea. We have the Peapod Plus and we've used it a fair bit. It's great by the pool or on the beach as a sun shelter and sand barrier for your baby or toddler, it doubles as a playpen, and it is extremely light and compact. 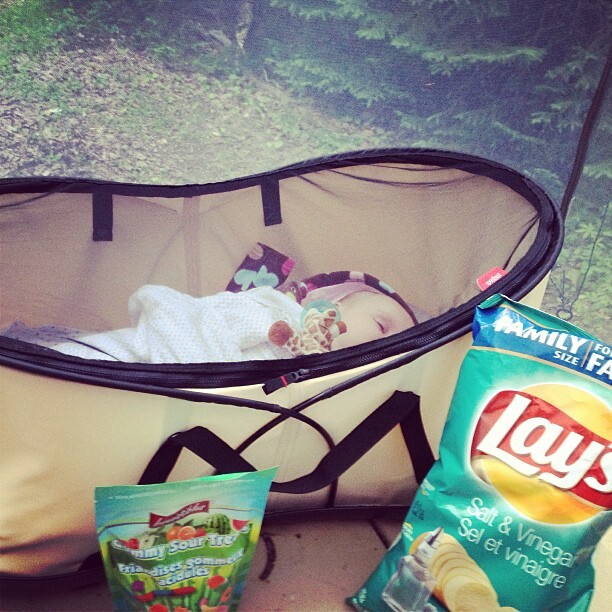 When you don't need it, fold it up and chuck it in the stroller basket. I love the Ergo Travel Carrier. 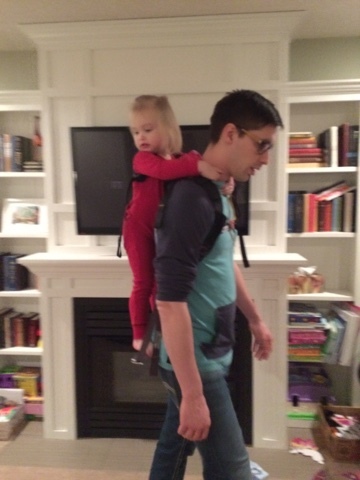 I have both hands free and I even can throw my toddler on my back when she gets whiny and sick of walking. If baby's not napping with all the excitement, sometimes a carrier is your best bet to get them some shut-eye without heading back to a quiet room alone. We sometimes also bring a compact stroller but the carrier gets a lot more mileage in sand or rough terrain. We also have a hiking backpack, but I find it bulky and heavy for every day use. We'll be testing out the Piggyback Rider for carrying our toddler on this trip. So far, it's light and Emily is entertained... in pajamas in our living room. I'll let you know how it turns out in action. d. Lastly, consider bringing a form of entertainment you know your baby/child loves. Those thighs were made for bouncing. You're not roughing it, so pack something light and portable that will give you a break: an infant floor play-mat that folds down to nothing or a jolly jumper that hangs from a doorframe? Awesome. For ten bucks, your local dollar store will supply you with enough stickers, colouring books, and activities for even the most inquisitive toddler. Separate them in ziplock bags to be explored throughout the trip and you're set. Phil & Ted's Nest Baby Bassinet. Portable. Light. Great Carrying Case. The zip-on bug screen is a great plus. Camping at the lake with a wholesome nutrition diet. Phil & Ted's Lobster Portable Clip-On Chair: Awesome. Light. 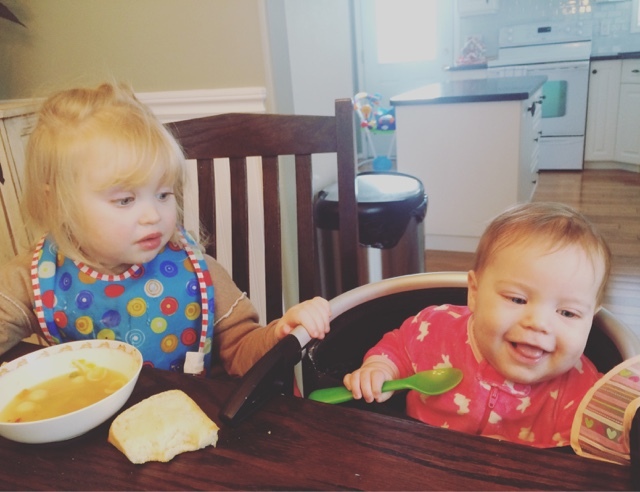 Folds down to nothing and as soon as baby has some head control, they can sit with you at the table. *Can't be used on glass tables. This seems obvious, but there are a surprising number of glass tables in the restaurant/hotel world. 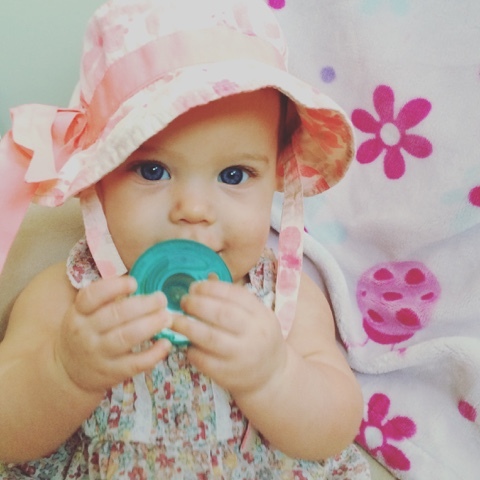 Gabrielle at 5 months, stealing spoons. NOTE: I am not suggesting you run out and buy these things. 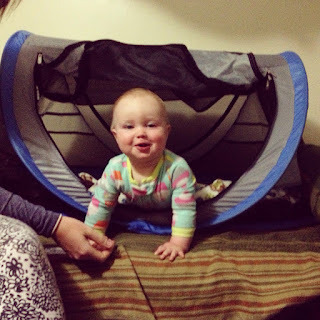 Figure out what kid equipment is useful for you in travel and everyday life. Don't sweat the small stuff and enjoy your vacation! The rest is minor details. We basically have albino children. If they can handle the heat, your little guys can too. 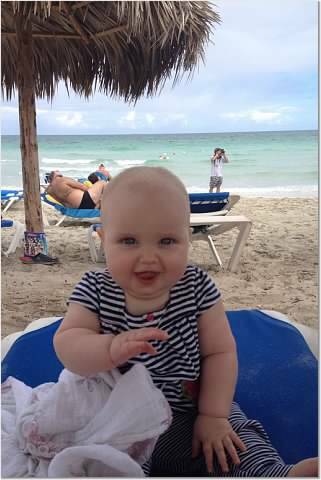 Unfortunately this baby got in the way of the handsome gentleman lounging on the beach. Ha! Entering disaster return schedule mode right now! The vitamin d was worth it. I think. Ask me at 3am.